In July 2018, there was a public outcry when a Chinese vaccine manufacturer produced unsafe vaccines jeopardizing the lives of millions of children. Artificial data played a significant role in this gross mistake. This case is among the numerous cases reported worldwide on the flaws of the pharma supply chain and artificial data. It reveals the importance of tracking the pharmaceutical industry's supply chain using technologies such as blockchain. The pharmaceutical sector is among the prominent industries that blockchain technology will revolutionize. Although the sector is considered to be slow-moving and conservative, it won't resist the hype waves of the blockchain technology. Blockchain will modernize the pharma industry by increasing its efficiency, offering growth opportunities, and enhancing patient safety. Below are seven ways blockchain technology impacts the pharmaceutical industry. Counterfeit drugs and medical devices are enormous challenges facing the pharma industry. They have adverse effects for posing health hazards to patients, eroding the consumer's confidence in the pharmaceutical industry, causing revenue loss, and reducing incentives to conduct R&D. In line with these detrimental outcomes, it is essential for the pharma industry to take measures to prevent drug counterfeiting. Pharma companies that manufacture and distribute drugs encounter difficulties tracking their products and hence leaving a slot for the entry of counterfeits into the market. This slot can be fixed using blockchain and hence deterring counterfeit drugs and medical devices into the market. The Drug Supply Chain Security Act (DSCSA) obliges that drugs have unique product identifiers that help to authenticate them. Blockchain offers a distributed provenance ledger whereby a drug can be tracked in the supply chain. This makes it hard for counterfeits to enter the supply chain. Drugs and medical devices are sensitive commodities that require careful handling. The handling of drugs in the pharma supply chain affects their quality and efficacy. Therefore, the pharma supply chain has to adhere to drug handling guidelines that include maintaining certain limits of humidity, temperature, and air quality. For example, vaccines are temperature sensitive and require proper handling throughout the supply chain. Since all parties involved in the supply chain have their separate ledgers for maintaining compliance, in case of an issue, it is difficult to track the origin. Blockchain offers a way for all parties in the supply chain to comply with logistics and transportation guidelines. Blockchain offers flexibility as it can be customized to alert the involved parties when a guideline is not met. For instance, using smart contracts, you can identify the phase in the supply chain when a breach of guidelines occurred. Drug returns are frequent in the pharma industry. In many cases, drugs are returned to manufacturers for numerous reasons. A good example is a drug wholesaler returning unsold drugs to the manufacturer when they order excess inventory. Returned drugs account for a small percentage of drug sales –approximately 2-3%. However, this small percentage translates to around $7-$10 billion per annum which is a significant amount. Many pharma manufacturers decide to resell the returned drugs rather than destroy them which would be a massive loss. Nevertheless, before a resell, manufacturers must confirm the genuineness of returned drugs. This verification turns out to be hectic for manufacturers because they lack a centralized approach for checking the authenticity of drugs. 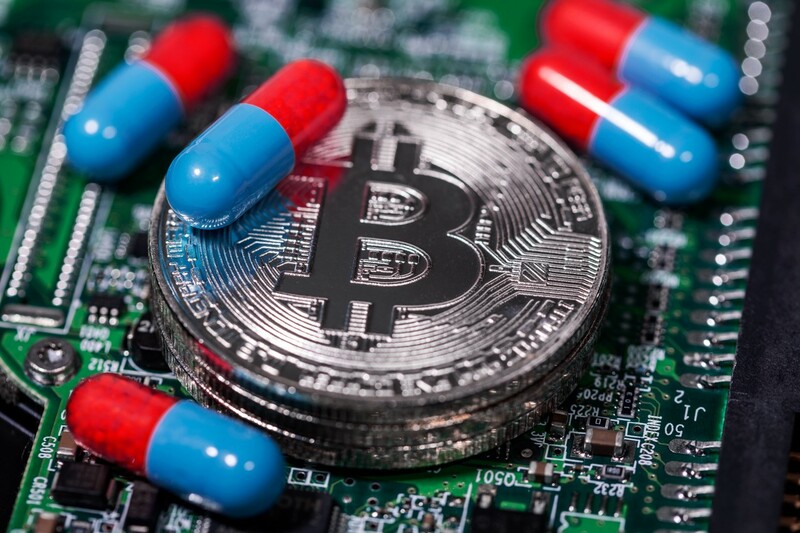 However, using the blockchain technology, pharmaceutical manufacturers can keep a record of product serial numbers which acts as a decentralized ledger. If a wholesaler, distributor, or consumer wants to verify the authenticity of a drug, they connect to the blockchain. Blockchain will revolutionize the patient experience with healthcare. At the moment, patient data is fragmented. Sharing of data between different health providers is difficult, and manual intervention is at times required. In some instances, a patient has to carry a physical script from a hospital to purchase drugs at the pharmacy. With blockchain, this will be a thing of the past. Sharing patient data and prescriptions will be automated, and physical scripts will be outdated. This will allow cross-collaboration between health providers and increase the quality of care. The pharma industry supply chain is a logistics nightmare with numerous incompatible computer systems used to track products from production to sales. This creates numerous problems for the sector. Luckily, a majority of these problems could be avoided using the blockchain technology that offers real-time access to data in the pharma supply chain. You can track a product from the ingredient suppliers to the dispensing pharmacies. There are many drug safety issues in the pharma supply chain. Many issues arise from the manufacture of drugs. Regrettably, it is difficult to trace the drugs due to the complicated supply chain. When drug safety is compromised in the production, it can affect patients' health outcomes and even lead to death. Blockchain provides an opportunity for the pharma industry to increase data safety by enhancing the traceability of drugs in the supply chain. In the event of a drug safety issue, blockchain identifies where the issue sprung. Blockchain offers a good platform to store clinical trials data in a safe, unfalsifiable, and available way. This data cannot be tampered with and hence enhancing its quality and reliability. Additionally, blockchain technology can be employed to recruit participants in clinical trials. The technology ensures data privacy and people will no longer have the fear that their data will be jeopardized when participating in a trial. When more people participate in clinical trials, better life-saving therapies can be developed that improve the quality of life for many people and also save lives. For many players in the pharma industry, inventory management is a huge challenge especially without visibility into the supply chain. Blockchain enables manufacturers to improve inventory management because they can use historical and real-time data to predict demand and trends. Thus, they can prepare for hikes and falls in demand and adjust their inventory accordingly. Additionally, blockchain can help significantly in the event of a product recall because you can tell the products' phase in the supply chain. Defective products are returned more efficiently than ever before. The blockchain technology is transforming all industries including the conservative pharmaceutical sector. The impact of blockchain in pharma is huge. The technology will go a long way in promoting patient safety, increasing the efficiency of pharma companies, and establishing a good relationship between the industry and the public. Blockchain's benefits are exponential and could result in a synchronized society and save millions of lives. Companies that will survive in the current era are those that will embrace blockchain to streamline their processes and operations.